Tanner Hicks (left), Amberly Geurin (center left), and Lexie Lamb (center right) are greeted by Dwight Greenwell, Kentucky Farm Bureau Director of Member Services (right), during the 2017 Institute for Future Agricultural Leaders (IFAL) at Murray State University. 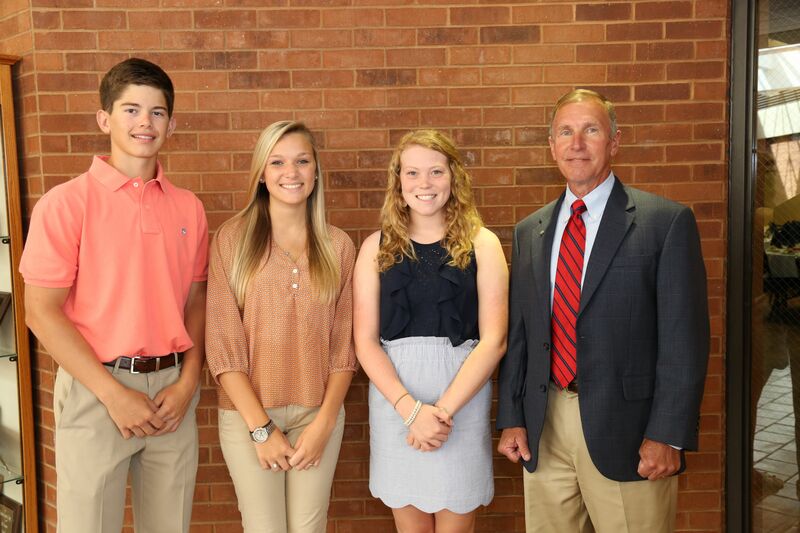 Louisville, KY (June 20, 2017) – Calloway County high school juniors Amberly Geurin, Tanner Hicks, and Lexie Lamb recently returned home from Kentucky Farm Bureau’s Institute for Future Agricultural Leaders (IFAL). Geurin, Hicks, Lamb, and 41 other high school students from around the state attended the five-day summer leadership conference, held June 11-15 at Murray State University.